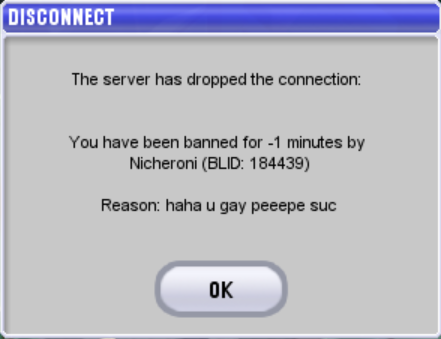 Nicheroni (184439) Bad server host. DO NOT mod him on your server, he will perma the forget out of everyone. thank u my broski. i will be sure to look out for him. way more unique than "cigarettecigarettecigaretteci garettecigarettecigaretteciga rettecigarettecigarettecigare ttecigarettecigarette"